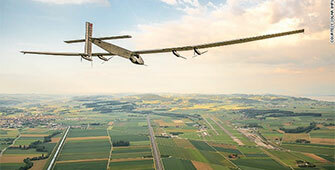 A solar powered aircraft is set to make aviation history. With the wingspan of a 747 but the weight of a car, the Solar Impulse 2 will take five months to fly around the world, on zero fuel. This week the route was announced, which will set off from Abu Dhabi in just a few weeks time. It's not just a test for this innovative aircraft, but for the two pilots' endurance as well. Ever wonder how much a private jet costs for your favorite flight route? Here are five flights with prices that we flew this week. Which airports were the busiest for private jets in Europe last year? Discover the latest flight numbers and airport trends. ...But customers needn't pay more. Here's how the Swiss National Bank's decision to uncap from the Euro affects private jet pricing.